When will be Surgical Spirit next episode air date? Is Surgical Spirit renewed or cancelled? Where to countdown Surgical Spirit air dates? Is Surgical Spirit worth watching? 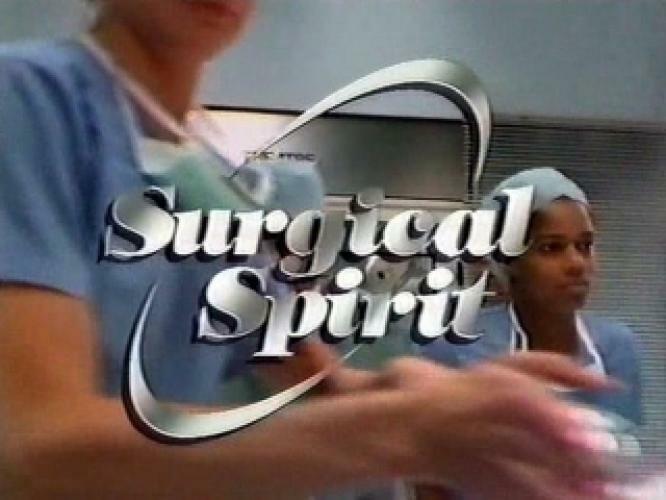 Surgical Spirit is a British situation-comedy television series starring Nichola McAuliffe and Duncan Preston that was broadcast from 14 April 1989 through to 7 July 1995. It was written by Annie Bruce, Raymond Dixon, Graeme Garden, Peter Learmouth, Paul McKenzie and Annie Wood. It was made for the ITV network by Humphrey Barclay Productions for Granada Television.The series was based around Sheila Sabatini, a senior surgeon at the Gillies Hospital, whose verbal skills have most people running for cover. She dominated the operating theatre, while at home she was divorcing her Italian husband, Remo, with whom she had a son, Daniel. Sheila was also a gossip, often gossiping with her best friend, theatre administrator Joyce Watson. Surgical Spirit next episode air date provides TVMaze for you. EpisoDate.com is your TV show guide to Countdown Surgical Spirit Episode Air Dates and to stay in touch with Surgical Spirit next episode Air Date and your others favorite TV Shows. Add the shows you like to a "Watchlist" and let the site take it from there.